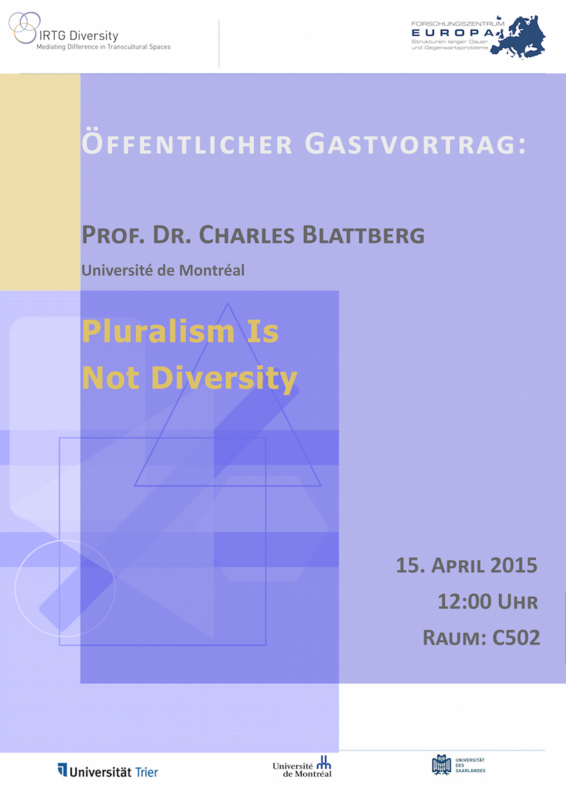 Zum Beginn des Sommersemesters 2015 an der Universität Trier lud das internationale Graduiertenkolleg Diversity alle Interessierten herzlich ein zu einer IRTG Diversity Guest Lecture mit dem Thema: "Pluralism is Not Diversity"
What is pluralism? Nowadays, almost everyone claims the label. In Canada, to oppose pluralism is to oppose mom and maple syrup; in Germany, mom and sauerkraut. As I will show, however, most of those who affirm pluralism are not really pluralists; indeed some even subscribe to monism, which is, of course, the opposite of pluralism. Moreover, one of the things I shall be arguing is that we should all oppose pluralism, and one of the reasons we should do so is that it is necessary for supporting diversity. Of course, diversity is another idea that almost everyone claims to favour. In fact, however, what many of them affirm is mere complexity, intricacy, a larger rather than smaller number of entities that, ultimately, are not especially diverse (if at all). 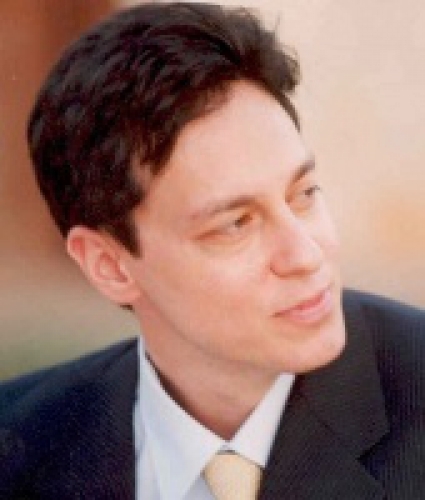 For example, our research group, IRTG “Diversity,” claims as one of its goals that of contributing to “an empirically saturated, historicized operationalization of core concepts such as diversity, transculturalism, and space.” Whatever this means, exactly, my claim is that it detracts from diversity. Furthermore, it is not enough merely to embrace diversity, since we need to distinguish between “shallow” and “deep” forms of it. And we need to do so not only for academic purposes because, as I shall argue, a sensitivity to the difference between them is essential for a just politics.